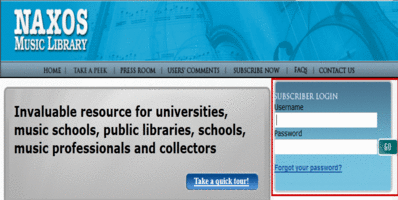 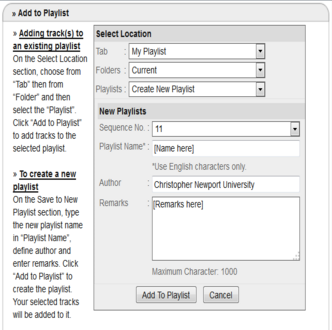 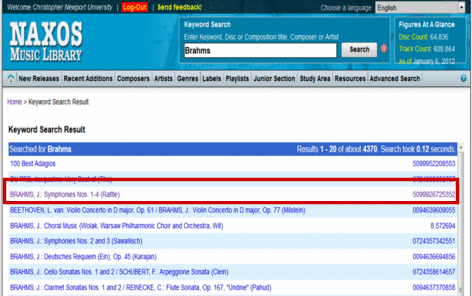 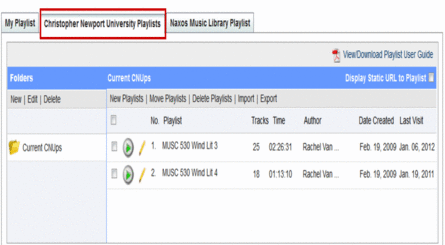 Do not use the Naxos Music Library link on the Library's list of databases! 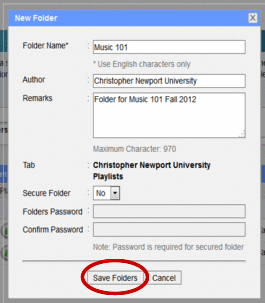 Fill in the appropriate information and Remember to Save the Folder! 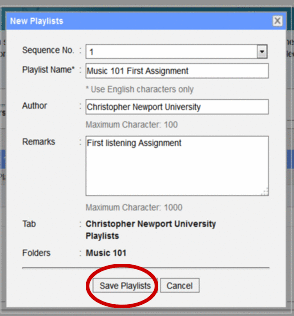 Fill in the appropriate information and Remember to Save the Playlist! 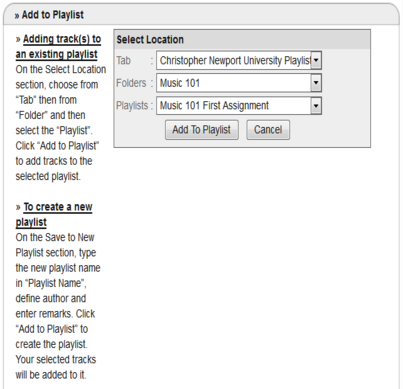 Click the "Add to Playlist" button to save!